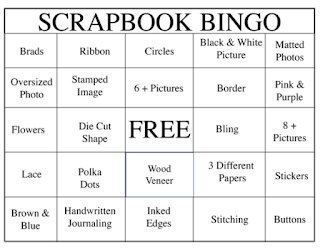 This is the last of the pages I made for National Scrapbook Day. 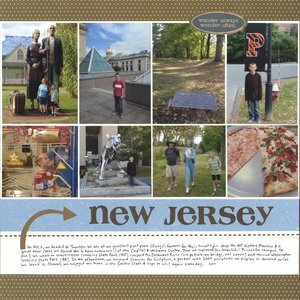 I used photos from our adventure in New Jersey last fall. 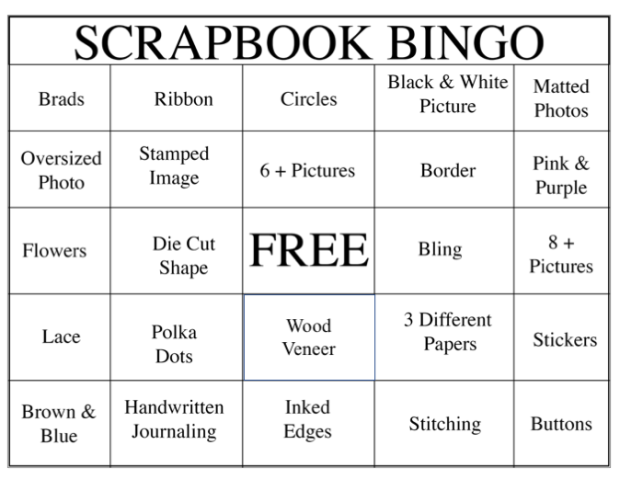 The inspiration was the Super Scrappy Bingo Challenge. I used the diagonal, including Brown & Blue, polka dots, free space, border, and matted photos. I love Bingo challenges. They're a fun way to stretch your creativity, but they give you options. It's basically a 'choose 1 out of 12' challenge. Any guesses which option would have been my last choice? It's the left vertical because of the brads (I'm anti-lump), oversized photo (I like to maximize photos on a page), and lace (totally not my style). What rows appeal the most and the least to you?